I know why investors don’t care about Fidelity Magellan’s comeback. Despite Feingold’s apparent success, however, investors are yanking money from the fund. The knee-jerk explanation is that investors have lost faith in active management, no matter what the results. A more accurate one is that investors no longer need the vast majority of actively managed funds, including Magellan. Vanguard Disrupted Active Investing. Now It Could Save It. Indexing pioneer Vanguard Group may be stock pickers’ last hope. Investors are increasingly turning their stock picking over to computers. 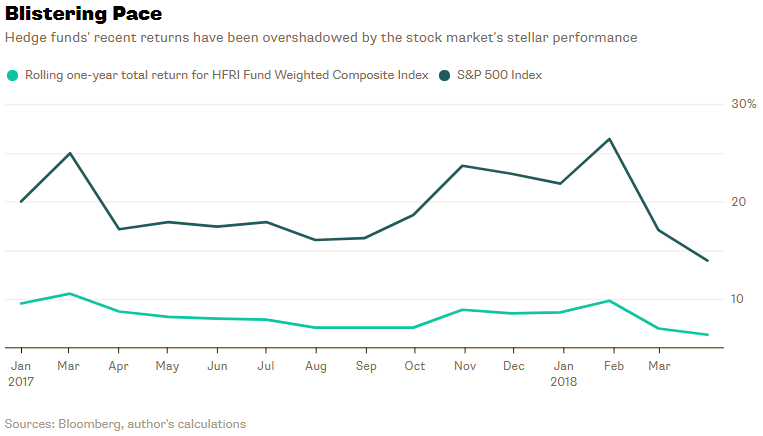 So-called smart beta exchange-traded funds track indexes that replicate traditional styles of active management such as value, quality and momentum. Investors handed $184 billion to smart beta ETFs from 2015 to 2017 while pulling $308 billion from equity mutual funds, according to data compiled by Bloomberg Intelligence. It’s not surprising. 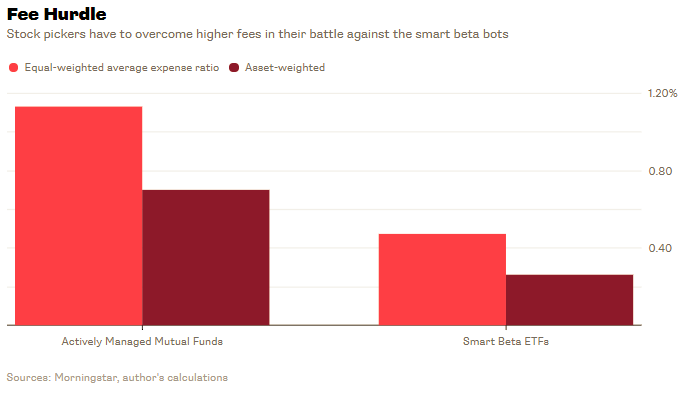 Smart beta ETFs are cheaper, and investors are skeptical that human stock pickers can beat the bots by more than the difference in fees. According to Morningstar data, the average expense ratio for smart beta ETFs is 0.47 percent a year, and the asset-weighted average expense ratio — which accounts for the size of the ETFs — is just 0.26 percent. That compares with 1.13 percent and 0.7 percent, respectively, for actively managed mutual funds. Warren Buffett is an even better investor than you think. The Oracle of Omaha released his latest annual letter to shareholders of Berkshire Hathaway Inc. on Saturday. It’s a good excuse to marvel anew at Buffett’s track record, particularly at a time when stock pickers are losing their aura. Buffett famously likes to invest in companies that are highly profitable and selling at a reasonable price. That formula has routinely beaten the market, according to University of Chicago professor Eugene Fama and Dartmouth professor Kenneth French. The Fama/French US Big Robust Profitability Research Index — which selects the most profitable 30 percent of large-cap companies — beat the S&P 500 Index by 1.2 percentage points annually from July 1963 to 2017, including dividends, the longest period for which returns are available. The profitability index also beat the S&P 500 in 81 percent of rolling 10-year periods. 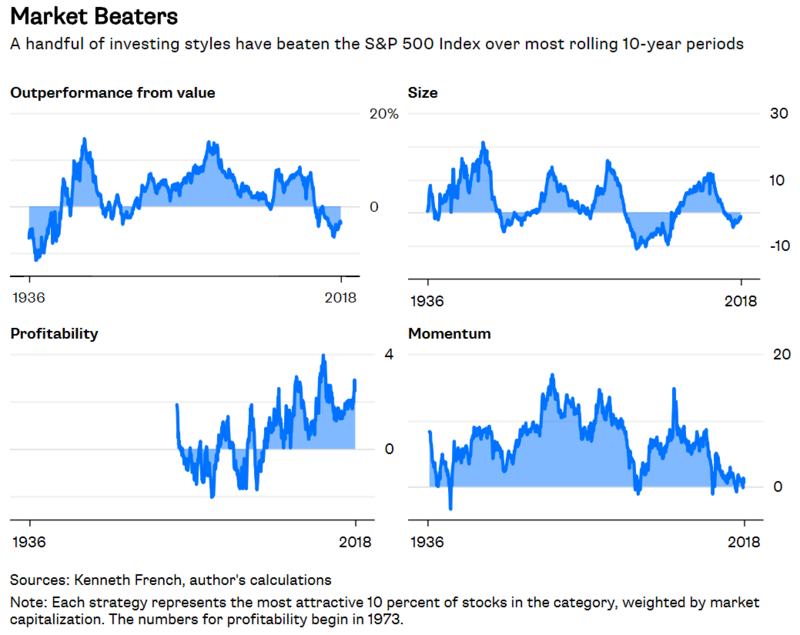 Similarly, the Fama/French US Large Value Research Index — which selects the cheapest 30 percent of large-cap companies — beat the S&P 500 by 2.3 percentage points annually from July 1963 to 2017, and in 82 percent of rolling 10-year periods. ETF enthusiasts gathered recently in Hollywood, Florida, for the “Inside ETFs” conference, the industry’s biggest party of the year. By many accounts it was the swankiest celebration yet. And for good reason. When Inside ETFs first convened in 2008, ETFs managed $500 billion, or one-twentieth of the money managed by mutual funds, according to Broadridge. 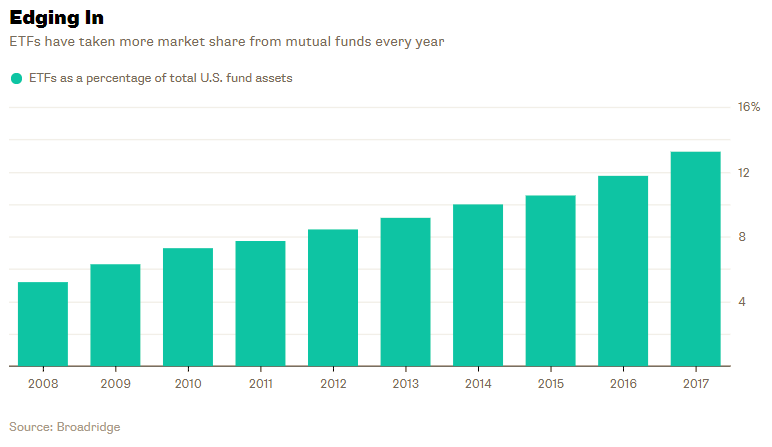 ETFs now oversee $3.4 trillion, or one-fifth of mutual fund assets, according Morningstar data. The health-care industry may have finally met its match. There have been many efforts to reform the U.S. health-care system over the years, but the one announced on Tuesday by the triumvirate of Amazon.com Inc., Berkshire Hathaway Inc. and JPMorgan Chase & Co. may be the most ambitious yet. The announcement was light on detail, but it hinted at big plans. JPMorgan CEO Jamie Dimon said the “goal is to create solutions” that deliver “transparency, knowledge and control” to the three companies’ employees “when it comes to managing their health care.” Those qualities are conspicuously missing from the U.S. health-care system. As my Bloomberg Gadfly colleague Max Nisen pointed out, a key line in the release is that the new venture will be “free from profit-making incentives.” That’s a big deal. Just ask low-cost investing pioneer Vanguard Group what’s possible when profits aren’t a consideration. The obvious question for investors is what impact the effort will have on the health-care industry. Amazon is a formidable foe, as every industry that competes against it will attest. But health-care companies are no pushovers. 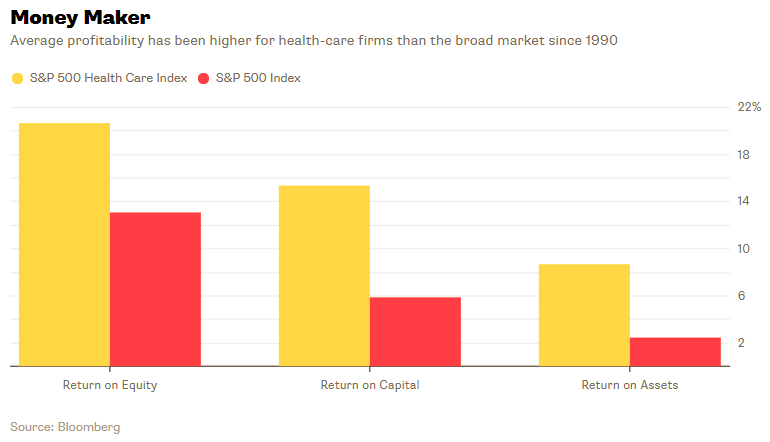 Or, as factor investing aficionados might put it, health-care companies are high-quality businesses. Value investing has been in the doghouse for a decade. That’s right, growth stocks have trounced value stocks for a DECADE. Some investors are betting that it’s finally value’s time to shine. According to Bloomberg data, investors poured $5.5 billion into value ETFs and withdrew $6.2 billion from growth ETFs so far this year. 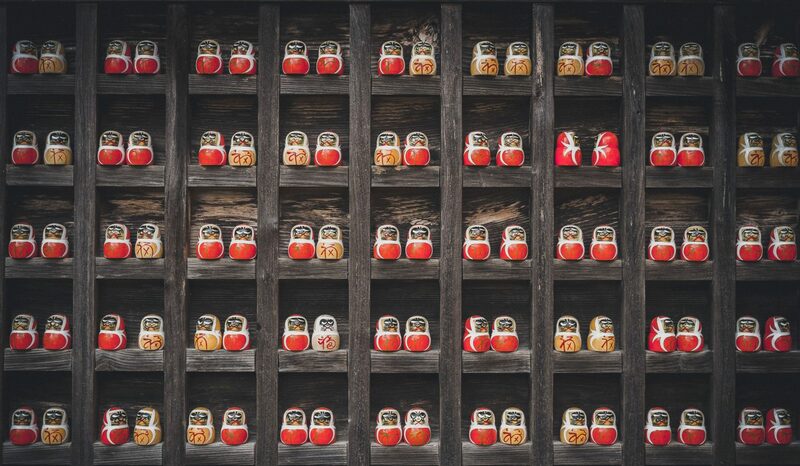 Part of value investors’ newfound enthusiasm springs from classic folklore – the old adage that value stocks outperform during expansions and languish during contractions. If the Fed’s insistence on raising rates is a signal that the U.S. economy is picking up steam, then it’s a new day for value stocks, right? Is Smart Beta Investing Really Smarter? For decades, Burton Malkiel has been a leading advocate of the efficient market hypothesis and its logical extension, the low-cost, passive approach to investing — as outlined in his bestselling book, “A Random Walk Down Wall Street.” Dr. Malkiel is a Princeton economist and Chief Investment Officer of a robo-adviser, Wealthfront. I had the opportunity to chat with Dr. Malkiel recently about smart beta, his Wealthfront portfolios, and how investors should think about rock-bottom interest rates.